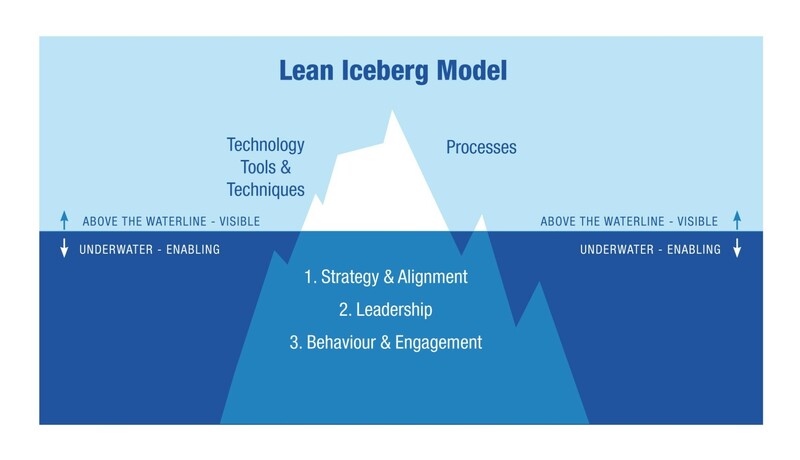 Following this work, Dr Pauline Found, Peter Hines et al developed a Lean Sustainablity Iceberg model which encourages organisations to not just consider and employ effective processes and the tools and techniques used to create them, but to consider whether the organisation has a clear and cascaded strategy, whether there are leaders who nurture and develop staff and work to this strategy, producing a positive organisational culture conducive to successful change. Both of these models are helpful in preparing organisations for the necessary “pre” work needed to secure sustainable change. However, in my experience, the biggest hurdle to overcome within achieving transformation is simply that of time – sufficient time to devote to the sizeable task at hand and time to involve all those affected in the change, communicating why change is necessary and what it will mean. Too often change is tasked to middle to senior managers ON TOP of their day job. Deadlines to achieve revolution are short and consequently, corners are cut. Insufficient data is collected prior to the change so that when the change is made, it’s difficult to ascertain whether it’s actually made a difference. There often isn’t enough time to involve all stakeholders within the change programme and so when change occurs, it impacts other departments negatively, causing resentment and frustration. Time also plays a factor following the implementation of a change – how robustly does the organisation evaluate how successful the change was? What lessons can be learned from the implementation, what mistakes were made that must never be repeated? Can the organisation become cleverer as a result of the transformation? In order to be an innovative organisation that continuously improves, it is imperative that sufficient time is given to improvement activity, pre change, during change and post change. Transformation needs to be seen as important an endeavour as ‘the day job’ and consequently, a significant proportion of time needs to be devoted to it. An interesting and informative article. I have joined an organisation that is dealing with some of the issues listed in the article. The challenge for me is how to develop strategies to progress our cultural change.